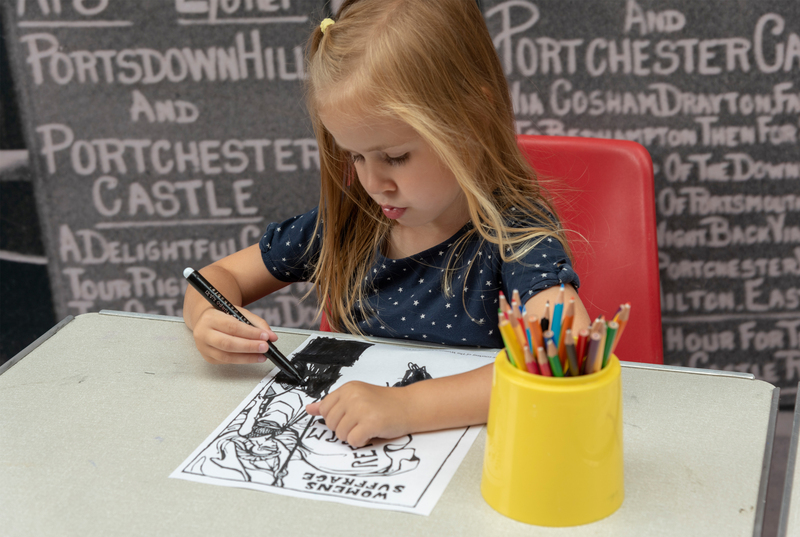 This summer we celebrated 100 years of some women gaining the right to vote for the first time by running drop-in creative family activities at the National Motor Museum and at the Caravan and Motorhome Club’s New Forest Centenary Site. Inspired by the Museum’s project The Drive for Change, the activities were supported by the Shell Heritage Art Collection and the Caravan and Motorhome Club. Younger visitors coloured copies of original campaign posters. Each year we look to our collections to find new and exciting ways to use the past to encourage creativity, and this year was no different. At the Club’s Collection we had uncovered some incredible pictures of Suffragists taking caravan tours to promote the votes for women cause and we used this for inspiration. 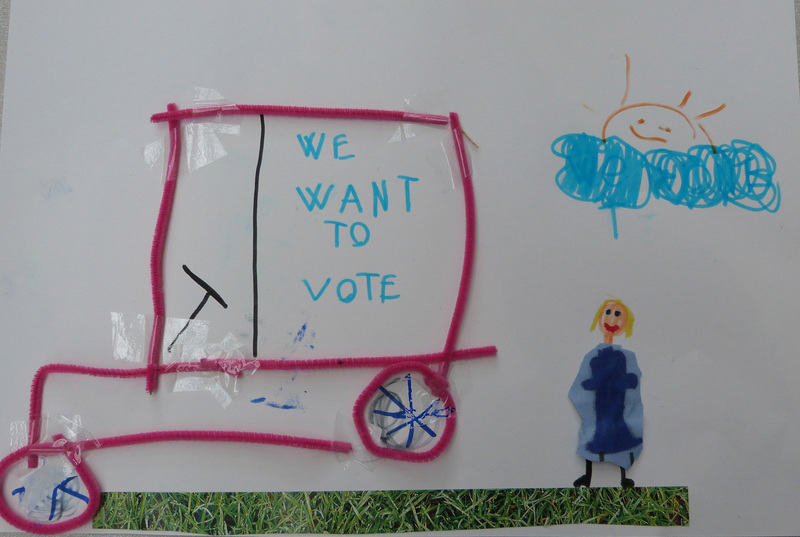 On Tuesdays in the Museum throughout August, children designed their own propaganda posters fit for a caravan tour, based on those used by suffragist caravanners a decade ago. This resulted in some incredible poster designs which featured the messages used by the suffragists during their campaign. You can vote for your favourite artworks at Beaulieu’s Facebook page until 17th September. One of the wonderful poster designs. Every Wednesday in August we also headed out to the Caravan and Motorhome Club’s New Forest Centenary Site where we offer activities to visiting families. Here we took inspiration from original suffragette rosettes and helped children to make their very own with the most fantastic results! We have had an incredible summer of creativity and are already looking forward to next year.